Whitney Houston was rushed to the hospital in France after experiencing "nose and throat problems." The diva was set to embark on her European tour in Paris on Tuesday, but scrapped the show because of a “respiratory infection.” Now the diva claims to be feeling great. 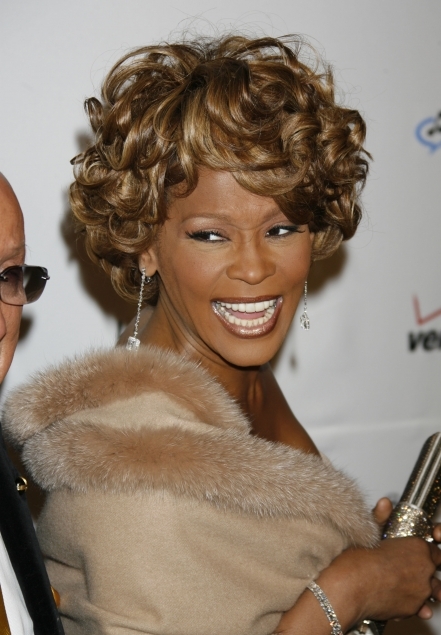 The reason that sent Whitney to the hosptial was allergies, not a relapse, and now she's already out of the hospital and eager to return to the stage. "I'm feeling great," she says. "I'm just ready to move on and continue my world tour." Hospitalized earlier this week for an upper respiratory infection, Houston postponed the first four shows of her European tour, fueling tabloid speculation that she's in a downward drug spiral. Houston calls such reports "ridiculous" and says, "At this point, I just don't respond. I don't even read it." Checking into a hospital in Paris was doctor's orders. "My health is terrific," says the singer, 46. "But this is a time when I get a lot of allergies." Houston's tour will resume on April 13 in Birmingham, England, and will continue through June. "I'm doing what I love to do, which is singing," Houston says. "The best part is seeing all of my fans around the world." Whitney Houston Spending $300K A Year On Drugs?